Fleas are small biting insects that feed on dogs and cats, but may also bite humans. Fleas are only 1/8 of an inch long, but they can jump up to 6 inches straight up. They are flat on the sides and have backward facing spines on their bodies. 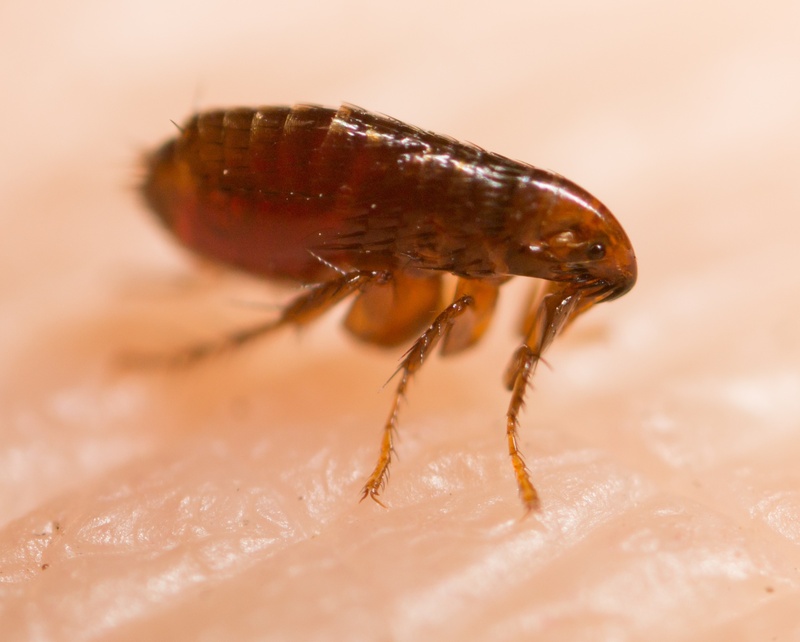 Fleas can be spread through the house as their eggs fall off the pet as it moves through the home and the yard, but in general they spend the majority of their time on the host animal. Flea infestations begin when an animal brings them into the home. This can be a result of a pet, or could be coming from a wild mammal like squirrels, raccoons, and feral cats. Why should I be concerned with Fleas? Flea bites can cause a significant amount of itching and irritation, especially in individuals who are sensitive to the bites. They also can spread quickly since each female flea can between 400 and 800 eggs in her lifetime. The key to getting rid of fleas is to treat with your pet in mind since no treatment will be effective if your pet keeps bringing in new fleas. This means that the pet must have a flea dip to kill all of the fleas on the animal at the same time as the home is treated. A skilled Cooper technician will come out and treat all accessible areas of the home for fleas, and any pets must receive a flea dip simultaneously. While this service will not immediately eliminate a flea problem, there will be a significant reduction within a several days. This treatment will be rendered ineffective if a pet or other animal continues to bring fleas into the home or there are fleas continuing to breed in inaccessible areas of the home. This treatment can be performed as a one-time service, and is also covered under the Home Intensive maintenance plan. There is very little that you can do on your own to get rid of a flea infestation once it is established in your home because of the complexity of these infestations. The best “DIY” option is to use flea treatments for pets so that they don′t get fleas in the first place. There are many eco-friendly options available for flea control. In addition, all products used by Cooper Pest Solutions are EPA registered for pest control use. 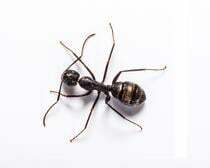 Our highly trained pest control professionals will follow all appropriate label requirements in an effort to keep pets and humans safe. The best prevention for fleas is to use a preventative treatment on your pets to prevent them from becoming a host to fleas.